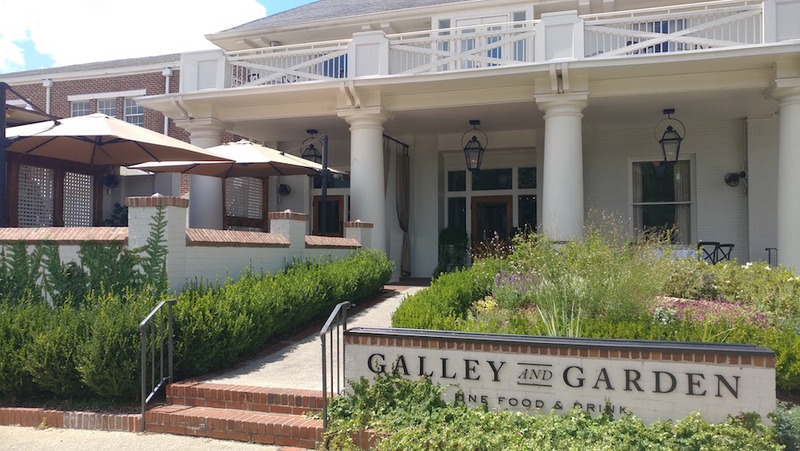 Birmingham's Galley and Garden Boasts an Elegant Lunch and Atmosphere! Enjoy this Beautiful Restaurant and its Incredible Food! Birmingham Restaurant Week once again took us to a restaurant we had yet to try and we couldn't have been happier. 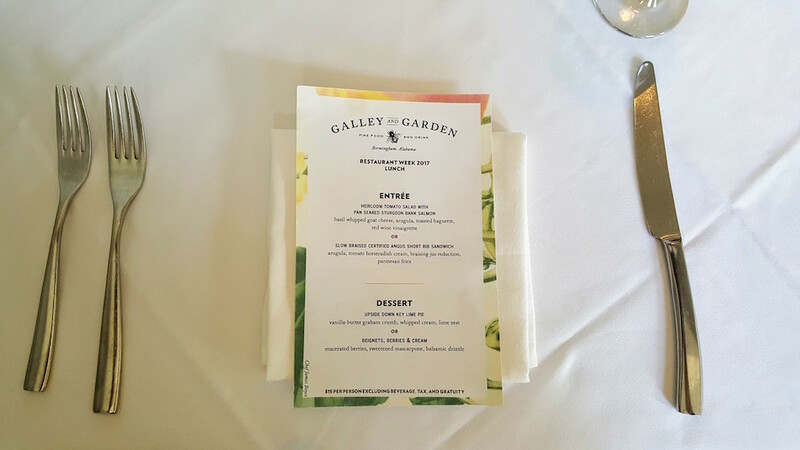 This time we headed over to Galley and Garden off of Highland Ave. for a mid-week lunch. Located in the former location of Veranda on Highland, Galley and Garden is housed in an absolutely beautiful historic home. 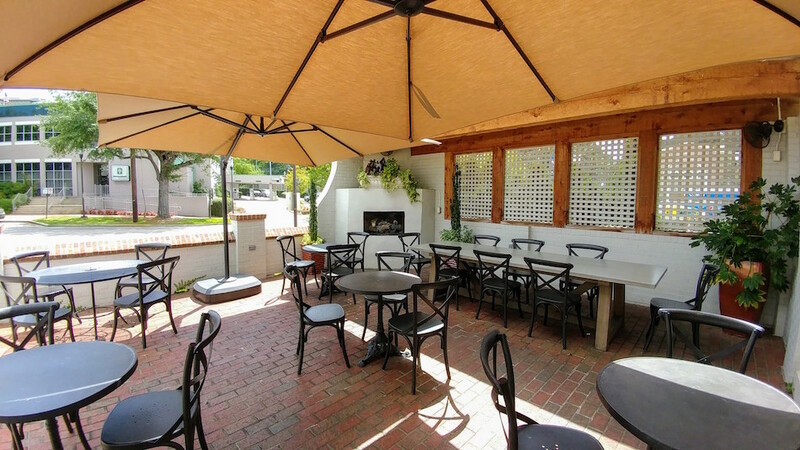 The shaded front porch and patio boasts tables with large umbrellas which is perfect for enjoying a sunny day! Once inside, we notice that the décor featured light shades of beige and white with thick drapes and upholstered booths and chairs. Each table is adorned with a white tablecloth and the smaller dining rooms make for an intimate setting. 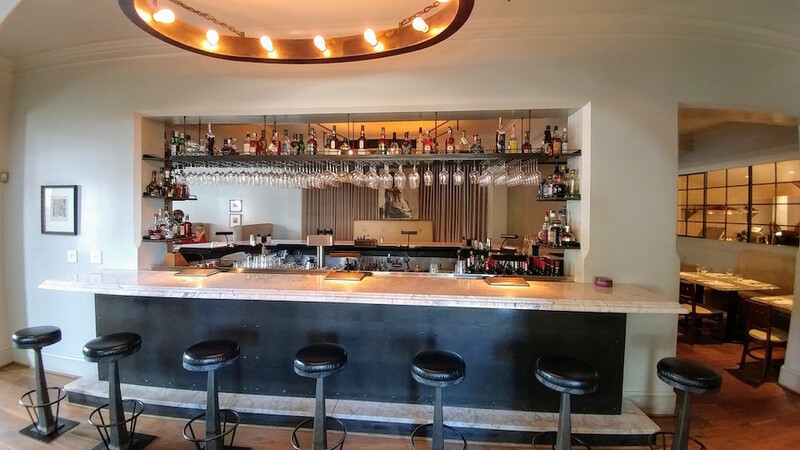 In the center of the restaurant is a fully stocked bar with marble countertops. Needless to say, the atmosphere was impressive. 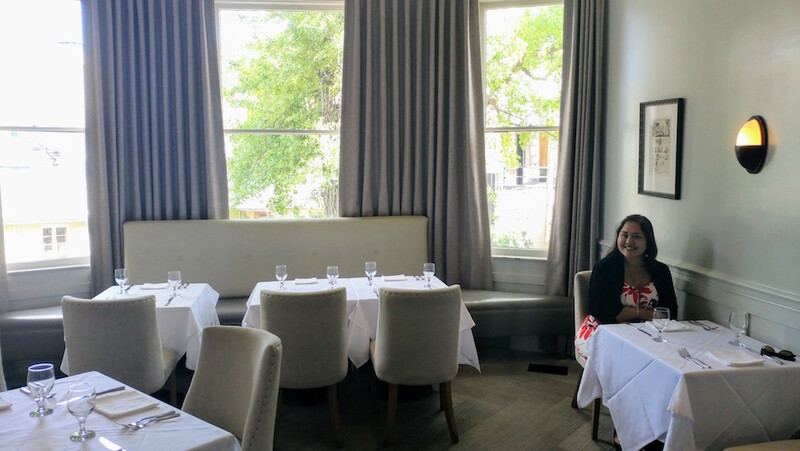 As we sat at out table in the sunny side room, our server went over the great options on the #BRW2017 menu. The Restaurant Week menu is set at a $15 price point, includes two courses, and is a stellar deal! 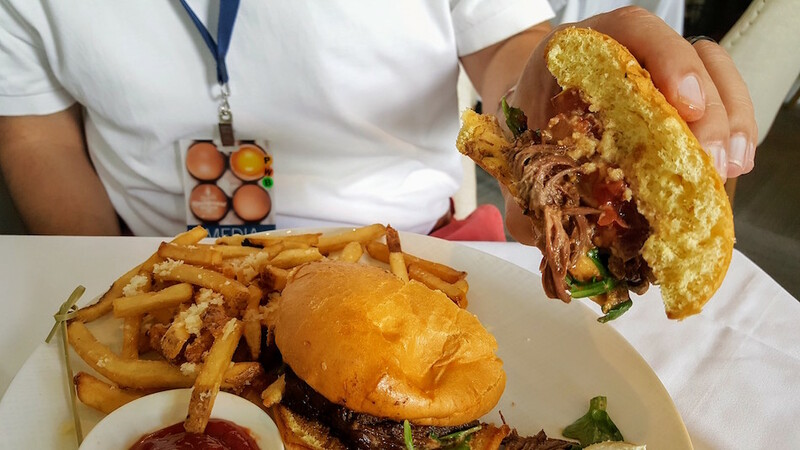 For the first entree we ordered the Slow Braised Angus Short Rib Sandwich. The bun was soft and sweet and the sandwich came topped with fresh ingredients. It included arugala, a horseradish cream that didn't overwhelmed the other flavors, and a braising jus reduction. The meat itself was so tender that it seems to melt in your mouth! These flavors blend perfectly! I was worried that the sandwich would be difficult to eat with my hands, but after cutting it in half it was very easy to handle without making a mess. All of this comes served with a side of crispy parmesan fries. This dish definitely takes lunch to another level! The second entree was an Heirloom Tomato Salad with Pan Seared Sturgeon Bank Salmon. Not only is this dish beautifully plated, it is possibly the best salmon we have had in YEARS! The tomatoes are freshly cut into wedges and are not overly acidic. The salad is tossed in a dark, red wine, vinaigrette and accompanied by toasted baguettes smeared with basil whipped goat cheese! 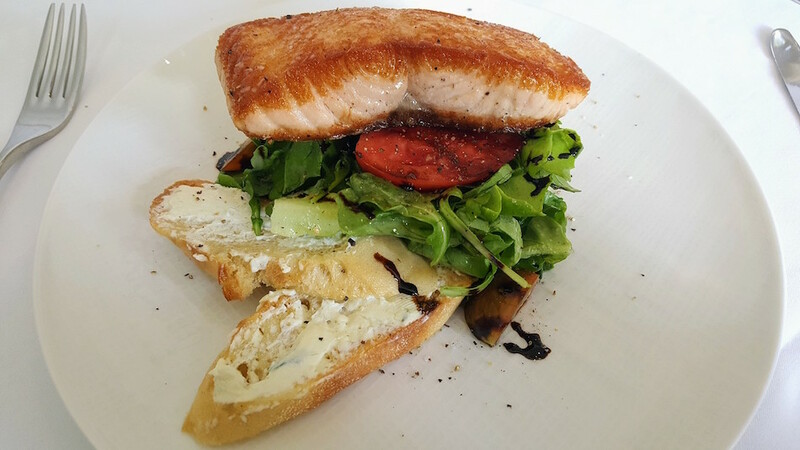 The salmon is seared to perfection and has a salty flavor that is nothing short of wonderful! I can't brag on this fish enough. It was spot on! While both entrees are rich in flavor, they are light enough that you will have just enough room for dessert. This is great since we were blown away by both the desserts that we tried. I'm a big fan of Key Lime Pie. To me, it is a dessert that puts all of your senses in summer vacation mode. Galley and Garden's Upside Down Key Lime Pie was no different! It is served layered in a sizable glass. 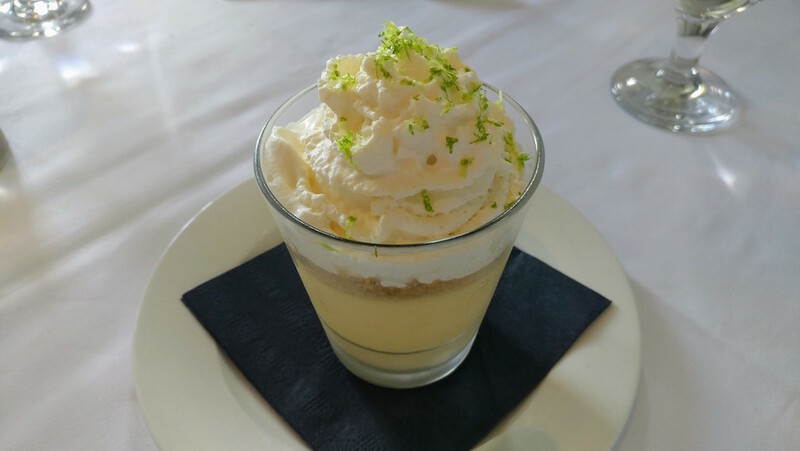 The foundation is a vanilla-butter graham crumb and it's topped with whipped cream and bright green lime zest! In between these two layers in a thick and creamy Key Lime filling that is both sweet and tart. It is beyond refreshing! This is the part where I admit that we couldn't decide which dessert we liked best. I say this because the Beignets with Berries & Cream were incredible! These beignets are served warm and are soft with a lightly crunchy exterior. They would be great by themselves, but they come topped with tart, macerated, berries and dollops of sweet mascarpone! 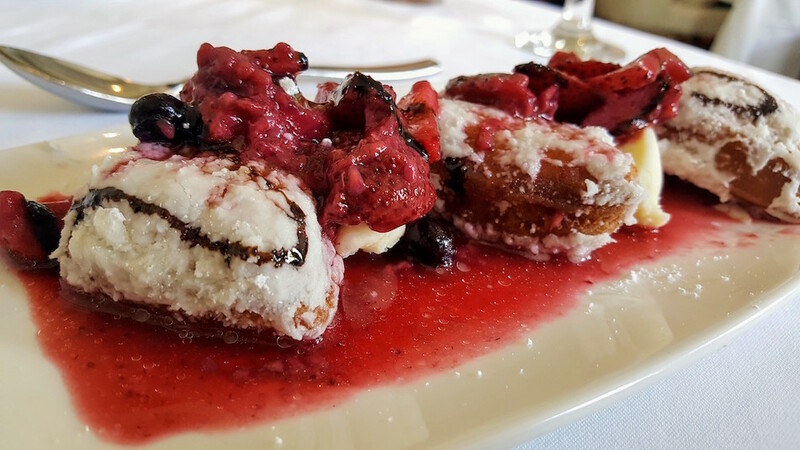 If this wasn't enough, the beignets are drizzled with a balsamic sauce and sprinkled with powdered sugar! (A beignet MUST!) 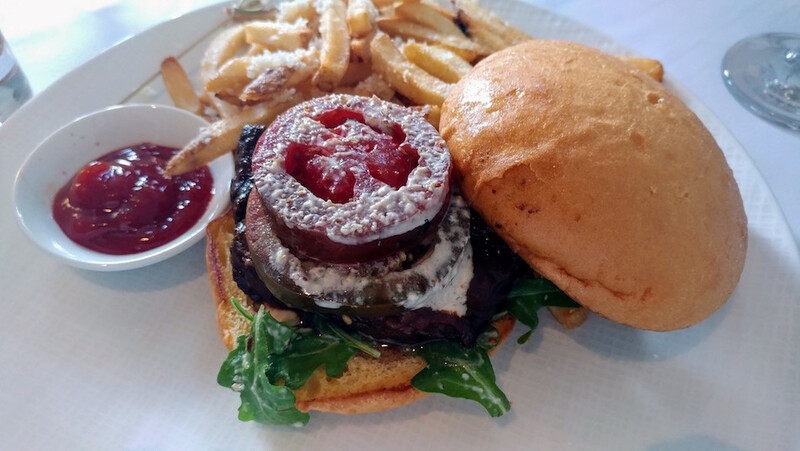 We hope that this is a permanent fixture on the menu because we want to go back for seconds! Galley and Garden checked all the right boxes. 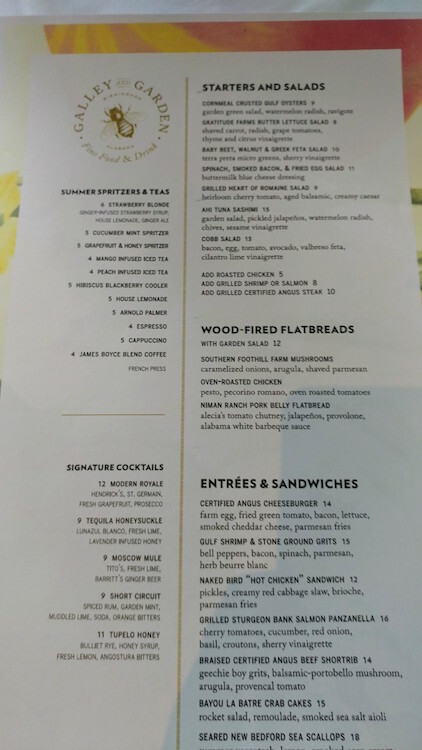 It has a refined, yet relaxing, atmosphere, friendly service, and food that carries on Birmingham's reputation as a culinary hot spot! If you missed stopping by during Birmingham Restaurant Week, don't worry! You can stop in for lunch, or dinner, any time. Be sure to call ahead for reservations since seating is limited. We also looked over the standard lunch menu during our visit. Everything we saw looked delicious and the prices were very reasonable given the fancy atmosphere. We can't wait to return and see what else the chef has in store!